I love that "love" stamp with the mist around it! :) I'm going to have to remember that! Looks lovely as always, love the color you´ve used too! Awesome, as usual! 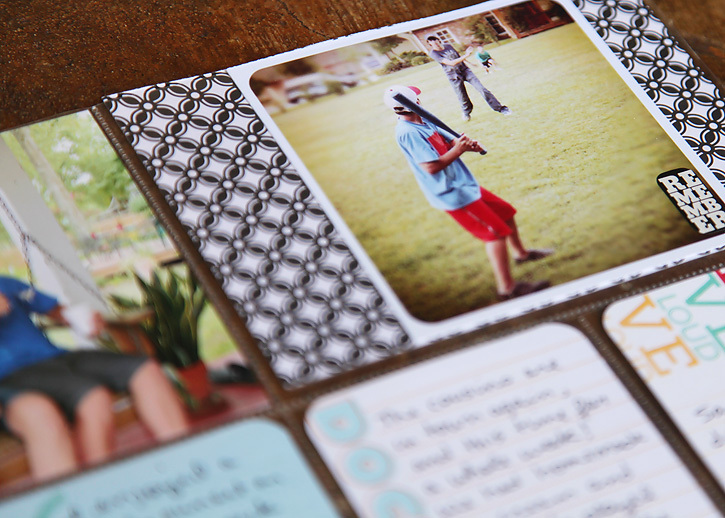 Love how you have a picture in a card pocket - such a cool touch! 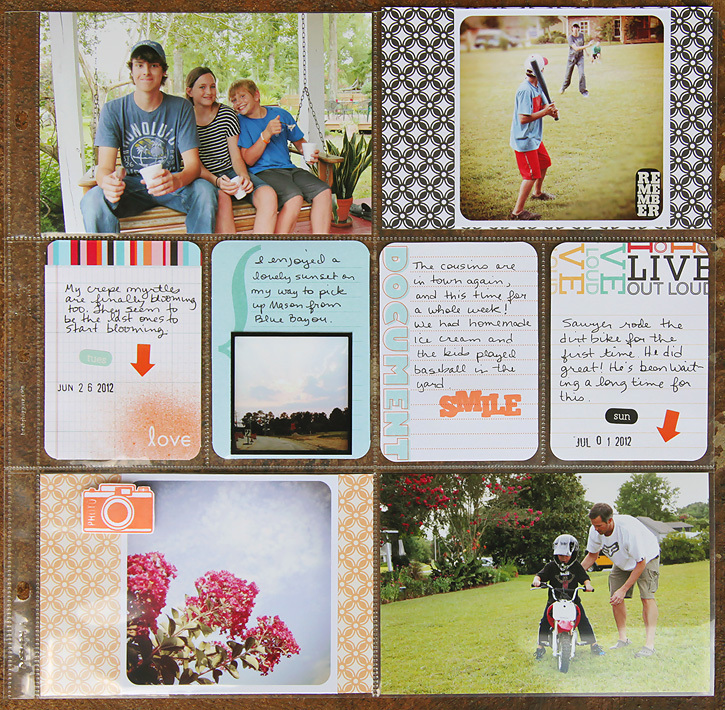 Deb I absolutely love your scrapbooking project and think you are doing a wonderful job. How you will love having this in the future! OK... I must confess. I've followed your blog for several weeks now but I only just now "get it". I've been looking at these scarp books thinking "gosh this lady is obsessed!" 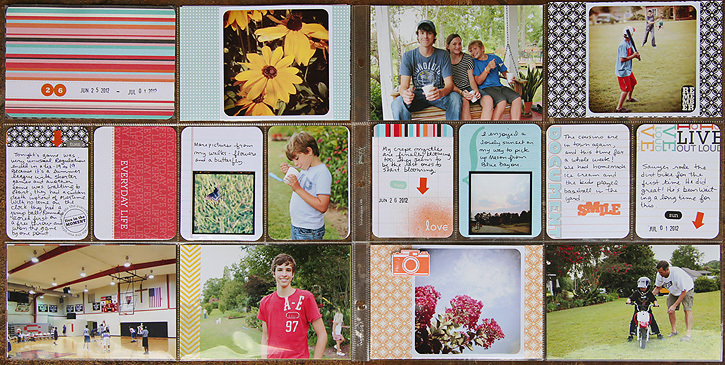 and "I wish I could do that" and "how come no one has ever thought of those little cards in photo albums before?" Then I happened upon Becky's webpage through Pinterest of all things, NOT your blog. (I'll admit I have you in my google reader so I don't ever see the buttons/graphics/headers. )I'm so excited about this product now that it all makes sense. 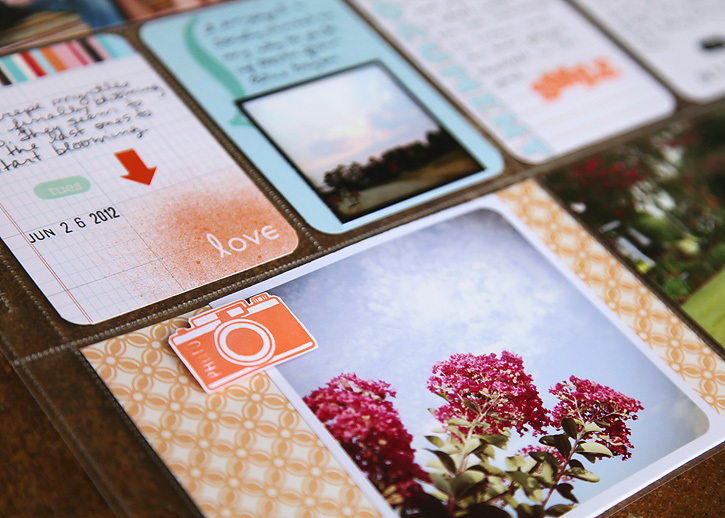 It makes beautiful scrap booking accessible to gals like me who like the end result but really just aren't into buying fancy pairs of scissors and rivet sets. THANKS! 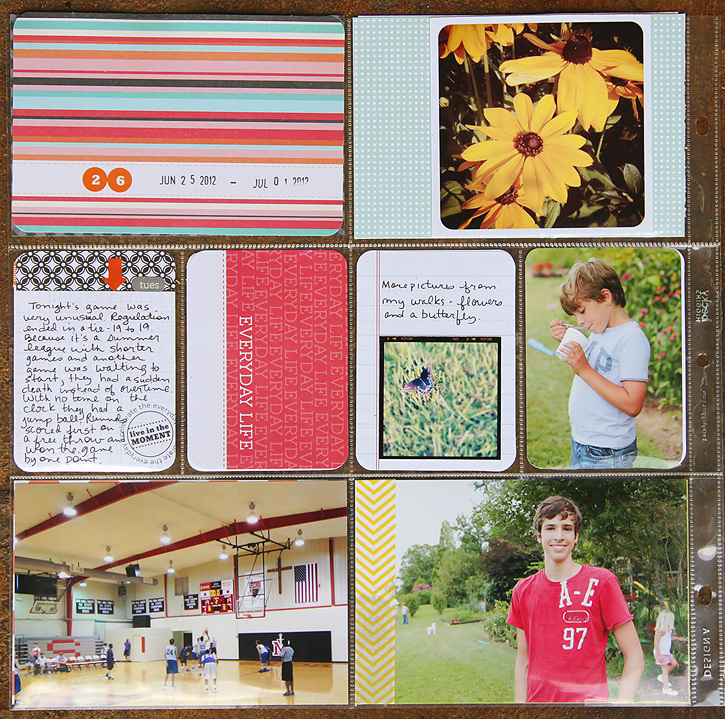 as usual, your layouts are beautiful! Deb....love your blog! 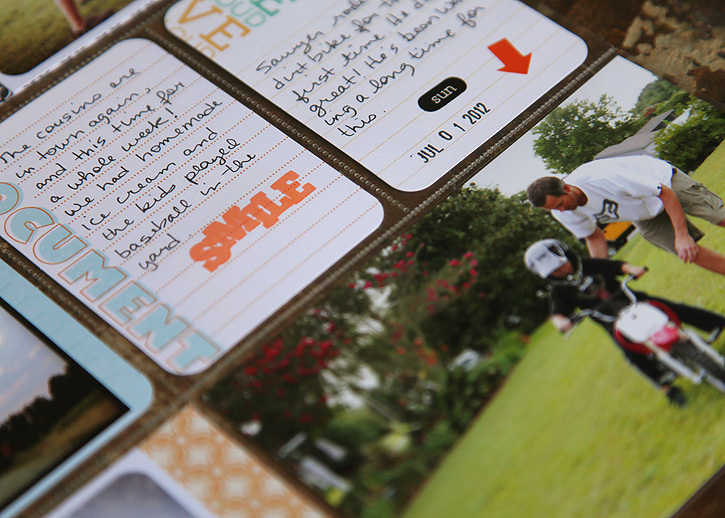 Your photos and scrapbook stuff is great. I am going to have to join you for your polariod linky. Porch swings are so much fun. Great photos. what a great double spread once again Deb!